Card Review: 9.3 My hatred of the modern "premium card" is well documented. That said, this card is pretty cool. 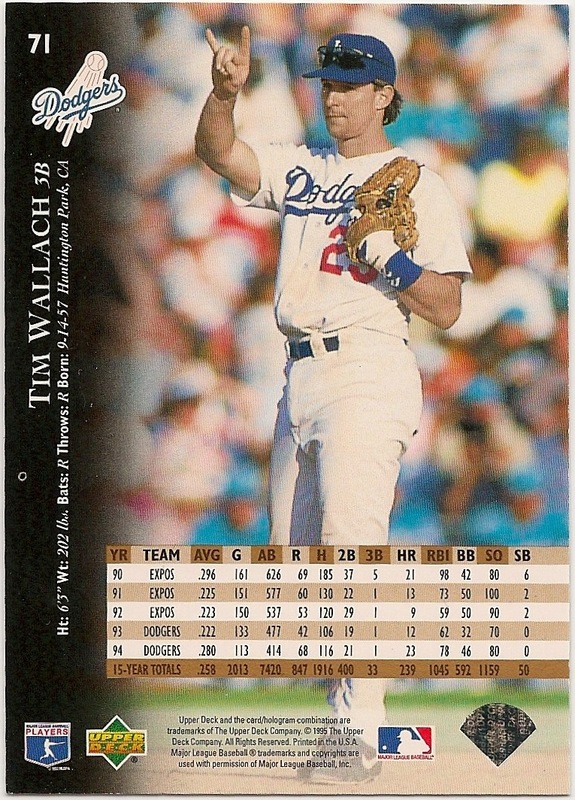 Upper Deck did a very nice job with the design, and the horizontal photo on the front is fantastic. I don't know what's going on with the catcher. 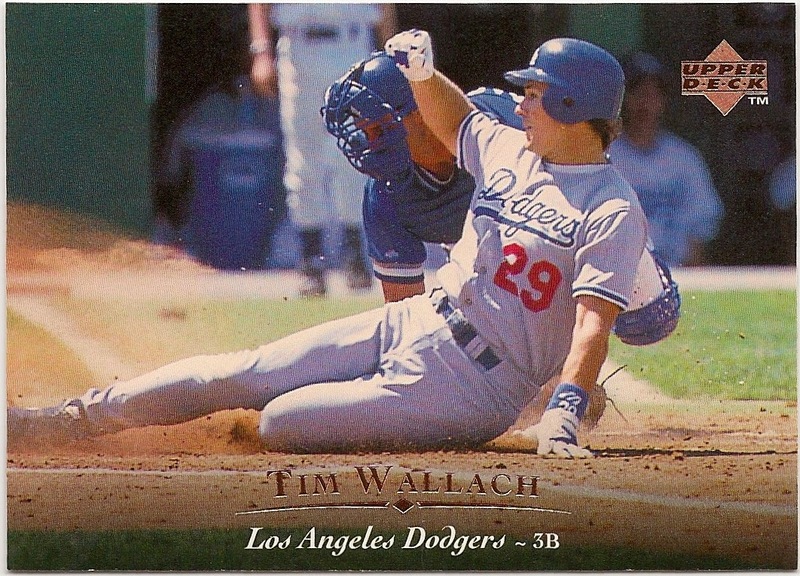 He's clearly wearing a blue jersey, Wallach is in the Dodger's road greys, and the guys in the dugout appear to be wearing white Royals jersey's. Yes. Love the 95 set.